The Society of Collision Repair Specialists on Wednesday formally announced the start of early registration for its popular Repairer Driven Education and OEM Collision Repair Technology Summit at SEMA. Classes and individual OEM Collision Repair Summit sessions are $75 now, $85 after the Oct. 12 early bird deadline. 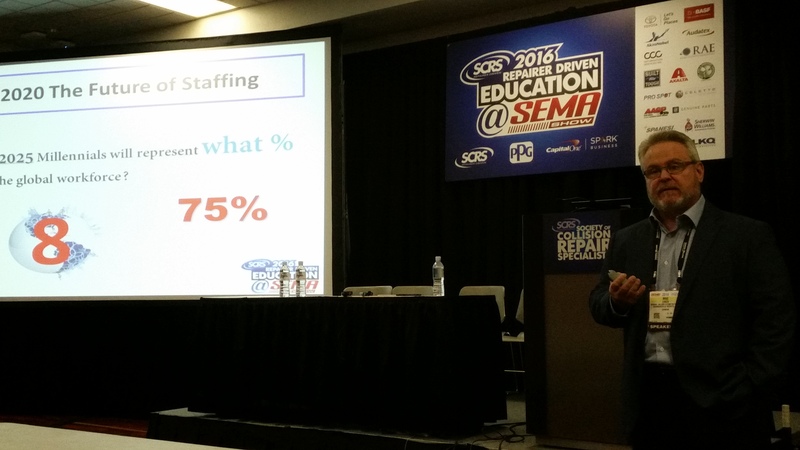 “While continuing to pull in some of the nations’ most sought-after subject matter experts, nearly half of the 20+ education sessions offered through Wednesday feature first-time RDE presenters; marking the continually refreshed curriculum offered by SCRS during SEMA week,” SCRS wrote in a news release Wednesday. Monday RDE classes return this year as well — late enough in the day that a repairer can fly to Vegas, check in, lose $20 at the tables, and still make the 3-5 p.m. sessions. 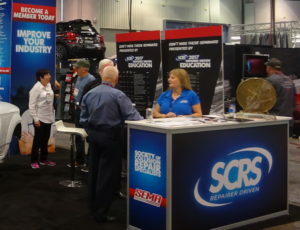 SEMA show passes much be purchased separately, but registering for Repairer Driven Education through www.scrs.com/rde will allow repairers to but a show pass or link RDE to their existing show registration. “Traditional marketing really doesn’t work well for Body Shops… If Yellow Pages are bringing you all the work you could hope for… then this class is not for you! “Do you ever wish there was a way to implement more effective processes and procedures to help make your shop great? What about an effective way to constantly keep your team engaged and up-to-speed with these processes. If you have these types of questions, ‘Visually Managed Collision Repair’ can help your shop achieve and maintain a leading edge. “Utilizing real examples of where proper repairs saved liability (bodily injury and property damage) for the Body Shop. Then to add interests and perspective, we will simultaneously make the case for an automotive aftermarket industry that is thought to be a higher hazard – tire retreading. We will show parallel lessons of loss prevention and proper techniques that transfer the majority of the liability on retreading tire casings to the OEMs. Then our focus will be Collision Repair Loss Prevention which will include the following points from the following: cameras showing your work; critical safety components and structural work; certifications; OEM costs; remembering who the customer is; assistance that an insurance professional should provide; not settling; merits adopting operation procedures with language similar if not identical to the SCRS position statement; technology challenge; talent acquisition/development and to grow margins. “(C)ollision repairers are faced with the reality of a substantial immediate and future investment in training, tooling, equipment, facilities, and certifications necessary to repair these advanced vehicles properly, for the ultimate safety of consumers. “For many shops, their current labor rates are not priced to include these new investments and regrettably have not even kept up with general consumer price inflation over time or increases in their cost of doing business. 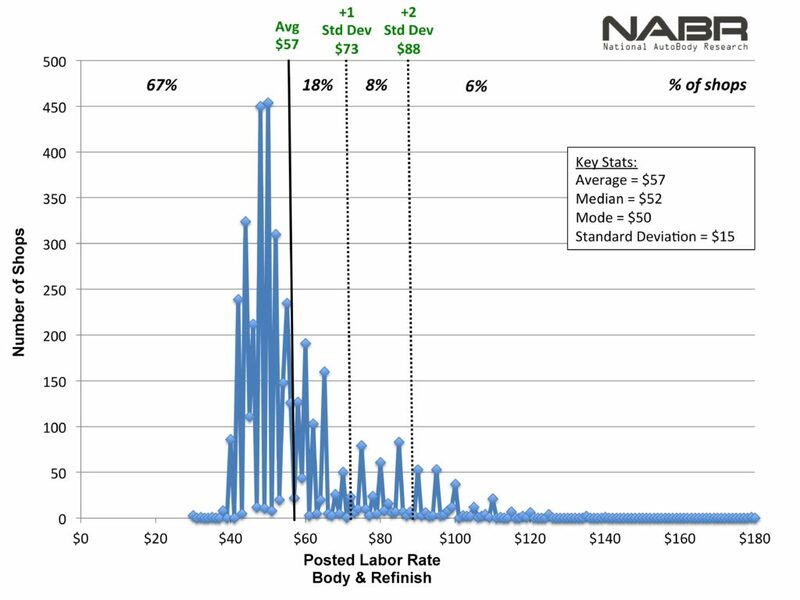 It is now more critical than ever for collision centers to find and maintain the right prices for their individual shop, to sustain long-term profitability well into the high-technology future.